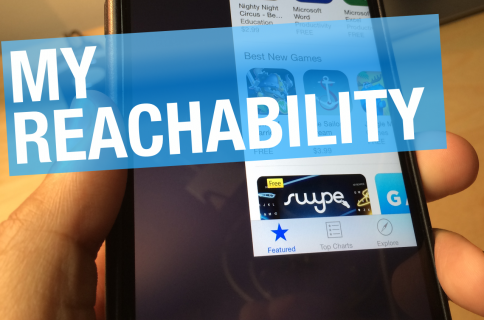 Let’s face it—Reachability means well, but it’s just not ideal for long-term one hand usage. This is especially so if you’re using a large device like the iPhone 6 Plus. 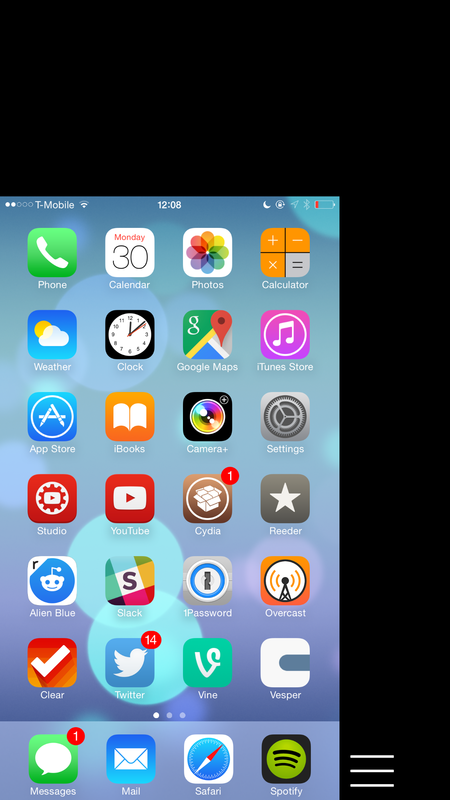 OneHandWizard is a new jailbreak tweak that solves this problem. It brings a true one hand mode to the iPhone that runs circles around any other solution that we’ve seen thus far. 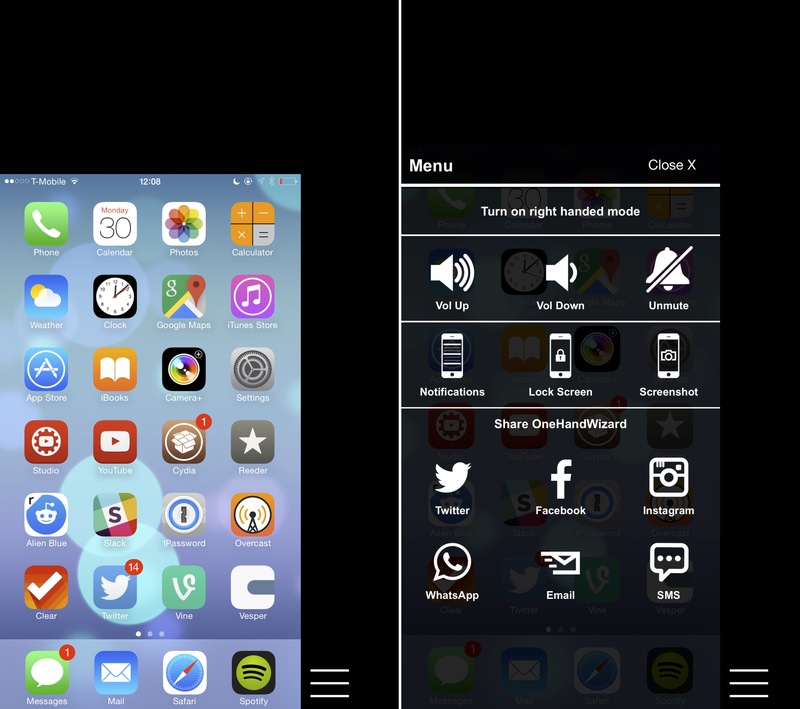 OneHandWizard targets the larger iPhone 6 and iPhone 6 Plus, because it supplants the built in Reachability feature on those devices with a solution of its own. Once installed, double-tap on the Home button like you’d normally do to invoke Reachability, and you’ll find the OneHandWizard interface instead. 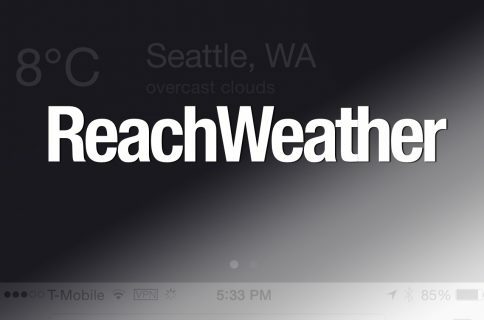 Unlike Reachability, OneHandWizard allows you to access the full interface of your iPhone in a scaled down size. 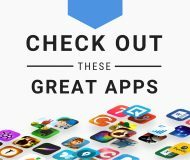 That means that you have access to all parts of the screen, all app icons, and every corner of an app. OneHandWizard scales down the interface to make it easier to reach and navigate with one hand. If you’ve seen Samsung’s one hand solution, then it’s somewhat similar to that. The cool thing about OneHandWizard is that you can quickly switch to right-hand mode or left-hand mode by simply swiping on the black area opposite the interface. You can even resize the screen to fit your hand by dragging from the corner of the app at the top of the screen. In other words, OneHandWizard isn’t just some one-size-fits-all solution, but it can be customized to fit your preferred hand like a glove. 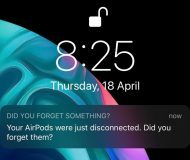 You can also use this overlay to invoke Notification Center, since off screen gestures are not moved with the smaller view. I’ve been trying to come up with some criticism of OneHandWizard, but to be honest, it’s hard to do so. The one negative thing that stands out to me is the menu overlay’s design. It’s filled with share buttons to promote the tweak, and it’s just not very sleek looking. I also think that it would be nice if you could customize the button layout within the overlay menu. 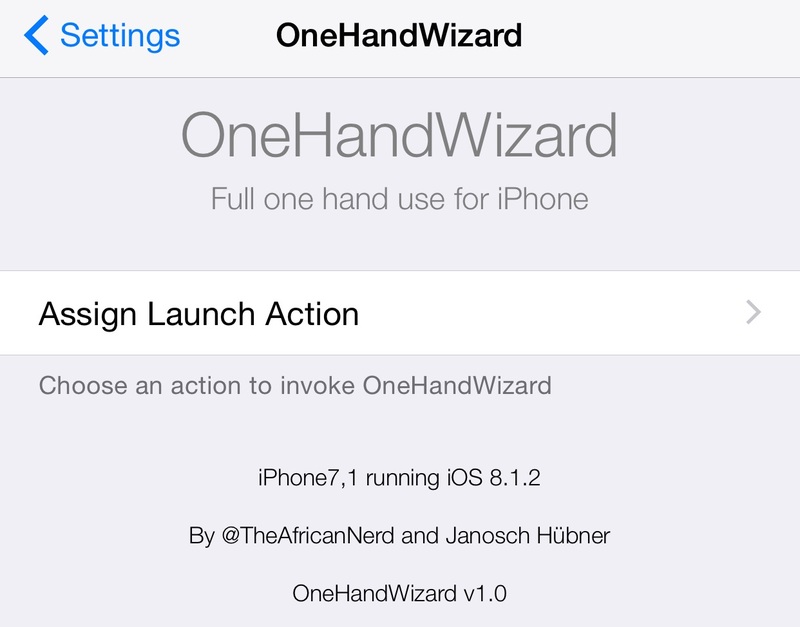 For devices that don’t support Reachability, OneHandWizard features an Activator section in its preferences for assigning a gesture to invoke one hand mode. By default, the interface is set to open when using a triple-press of the Home button. 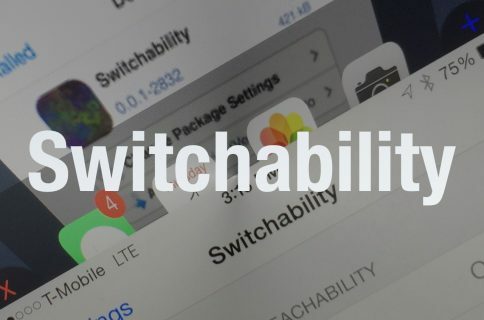 I’ve tried a handful of tweaks that claim to make it easier to use a larger iPhone with one hand, and I’ve also used Reachability extensively. Many of those solutions, while not terrible, are limited in scope. OneHandWizard feels like an honest to goodness solution to a problem that I know that many of you have to deal with. I have very large hands, and even I struggle at times to access all areas on my iPhone 6 Plus’ screen with one hand. With this in mind, this is a jailbreak tweak that I plan on keeping installed on my device, and I think that many of you will feel the same. OneHandWizard is available for $3.99 on the BigBoss repo. Sound off down below with your thoughts on the tweak.